In case you haven’t noticed, rents have increased a lot the last two years. Are you ready for your next turnover? Here are some renovation ideas that will help your apartment move closer to top-market. First you should remind yourself which market you’re in. Markets can be segmented by geography (urban, suburban, rural) or clientele (college housing, young professional, subsidized). Top-market rent in an urban, luxury market might require having a gym in the building. Whereas top-market rent in a subsidized market might just require new appliances. Different markets will value different improvements. We’ve tried to come up with all-purpose advice, but you decide. The order of suggestions goes from hardest to easiest. 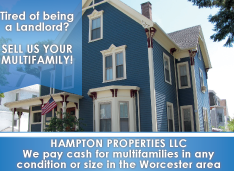 We all know that a two bedroom will rent for more than a one-bedroom, all else being equal. So how can you add a bedroom? Bedrooms are defined by 105 CMR 410.400 as having a minimum size of 70 sq. ft. for one person, 50 sq. ft. for each person two and over. Bedrooms also need to have electricity, light, and ventilation. Bedrooms must have either two outlets (if possible, on different walls and ten feet apart), or one outlet and a light (105 CMR 410.250). Bedrooms also need to have transparent or translucent glass equal to 8% of the floor area (105 CMR 410.250), and some kind of ventilation. The ventilation can be a fan running at 2 changes per hour, or a window other than a skylight that opens to the outside and is at least 4% of the floor area (105 CMR 410.280). The code (105 CMR 410.15) prevents us from putting beds in bathrooms, or sinks in bedrooms, so don’t too get creative. If you have a large bedroom that you can effectively partition into two smaller bedrooms, and no window or electrical work will be required, this renovation might cost only a single stud partition wall and a door. It might pay for itself in six months. If you do add a partition wall, remember that you should consider the privacy of your renters: you can insulate one room from the other with fiberglass soundproofing bats or double sheetrock. You may have heard that bedrooms require closets, but this is neither in the International Residential Code (1 – 2 units), the International Building Code (3+ units), or the State Sanitary code. Bedroom closets are counted only by appraisers, tax assessors, and renters deciding whether they want your apartment. The first thing a prospective renter will notice is something you may have gotten used to a long ago: the smell. Smells from all previous renters might be ingrained in the walls and flooring. Ten gallons of paint can smother most odors in most apartments and cost less than $300 in supplies, plus your time. If this gets you an additional $50/mo in rent, it will pay for itself in six months. If you pay a professional painter, it will pay for itself over an average tenancy. Carpet is a slower payback, and the price can vary wildly. At $4/square foot installed with padding, you might be looking at three times the cost of professionally painting the same unit. But this level of carpet might also last three times longer than paint, especially if you select a mottled frieze that will hide stains. Remember your “anniversary gift” to renters can be a professional steam clean, which will extend the life of a more expensive carpet by removing dirt and sand that would wear it down. Alternatively, you can always try to get away with the cheapest possible carpet. After all, new is new. Before you recarpet, consider the advances in laminate or imitation hardwood. Higher end versions are now scratch-proof, odor-proof, and water-proof. 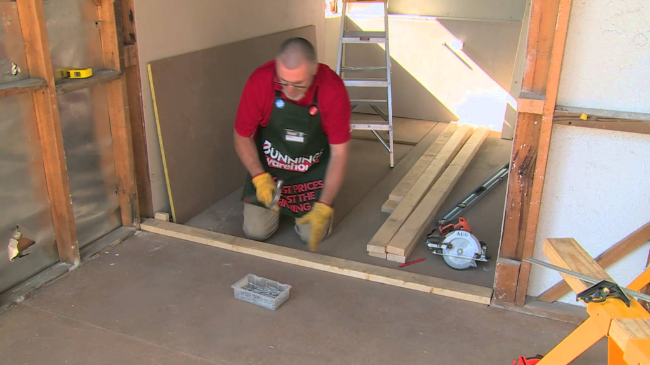 Cork underlayment can deaden noise to lower floors. Installed, it may cost twice as much as what you were going to pay for carpet. But if it lasts four times longer, it will net out to half the cost in the long run. You must be sure that your structure is solid, because this flooring is heavy. It can bend to suit sagging floors as long as the floors are now stable. When in doubt, consult an engineer. A full kitchen or bath gut renovation will greatly increase the rent you can collect, but at roughly $10,000 to $22,000 depending on the size and your location, this could set you back years. There are intermediate steps. In a kitchen, most renters focus on the appliances. Some appliances like stoves can work well for 30 years, but they can’t pretend to look like new. They will look dated however well they work. The best renters will decline to pay top dollar for functional but dated appliances. New stainless steel stoves start at $500. A $25/mo rent improvement will more than pay for a stove over an average tenancy. In a bathroom, medicine cabinets are now so cheap they can be treated like consumables. This saves on cleaning costs when they’re caked with mysterious dried creams and colored lotions. Just throw out the old medicine cabinet. A tri-view, entry-level medicine cabinet costs $100 and gives lots of space for renters. You might have old, still workable electrical lines and plumbing, but your fixtures don’t have to look old. Plumbing-wise, bathroom tubs with multiple faucets look dated. 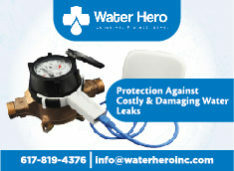 They can be replumbed with a single mixer valve and made to look like new. In the kitchen, remember that your renters need to wash pots or who knows what in the sink. A large gooseneck faucet or a sprayer can add a little utility. Electrically speaking, your outlet covers should be cleaned of dirt and grease (glass cleaner or a degreaser works great). If the switches are old those should be replaced. Any loose outlet boxes should be tightened up, as they are a safety hazard. Pay attention to the quality of lighting, as well. LED lights and fluorescents are efficient but they can cast you and your applicants in an unflattering glow. So-called “daylight” spectrum bulbs work best only in work areas like the kitchen. Everywhere else, make sure you’re illuminating with a homey yellow. Also, clean dead bugs and dust out of the crystals. If all of the above sounds uninteresting, here’s our smallest effort, highest return idea. Flowers can make sure your prospective tenants stop for the tour and don’t just drive by. No green thumb is required. Shop at a local Home Depot or Lowe’s, or other florist that carries new, patented varieties of plants. These new genetically engineered superorganisms are designed to thrive on only natural rain and some sun. No watering, fertilizing, or weeding required. With just three varieties, you can have color off and on from March through September, peak lease-up times. Buy a bag of at least ten crocus bulbs and ten daffodil or tulip bulbs. (Depending on your local fauna, you may need to switch out daffodils for tulips or vice versa; squirrels may eat them). You will want about ten of each for the smallest possible patch ($30). Buy three or more perennial coreopsis or coneflower plants. These will be prairie-type flowers that bloom all summer ($60). You want three so as to not look weedy. Watch the height: you don’t need a six foot tall variety, 18 inches will do. Pick a patch of lawn visible from the street that won’t interfere with mowing. Or get a cut-in-half whiskey barrel, place it on your pavement, and fill it with dirt (additional cost applies). Plant the bulbs all together on the close side of your patch following the instructions on the package for depth (it will probably be tulips deeper so plant those first, and the crocuses on top). Plant the coreopsis immediately behind these, from the point of view of someone approaching the property. (If using a whiskey barrel, do not plant right up to the edge or those plants will freeze overwinter). The crocuses will come up first and bloom right after the snow is gone. This is how you know your plan is working. The tulips or daffodils will be good for a week or two in April/May during showings for June 1. They will grow right around and over the crocuses. The coreopsis or coneflowers will be good in July and August for September 1 showings. They will expand to grow right over the tulips, and will be thick enough to blot out weeds. The only thing you might want to do is cut any yellowed tulips that remain in view. This $90 in flowers may last you ten years. The value is hard to quantify, but consider if you can attract one good tenant who otherwise would have driven by. 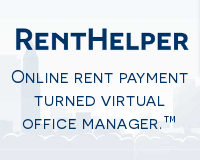 If you get just an additional $10/mo from this better tenant, they’ll return 13x. It’s 13x on a small number, but in real estate, that’s as good a return as you can get. Unless, of course, you strike oil. What are you tips for renovation and refurbishment? 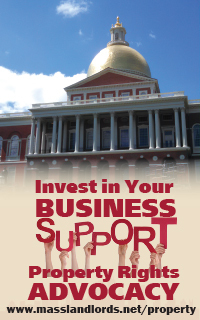 Share your thoughts with us on Twitter @MassLandlords or Facebook. 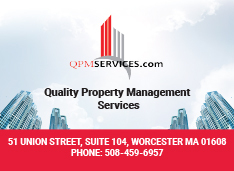 Special thanks to Paul Harris at the Charles River Rental Housing Association for inspiring this article.